Far from being overawed by the multi-millionaires from Barcelona, Jim McLean's men more than matched the illustrious Spanish side. 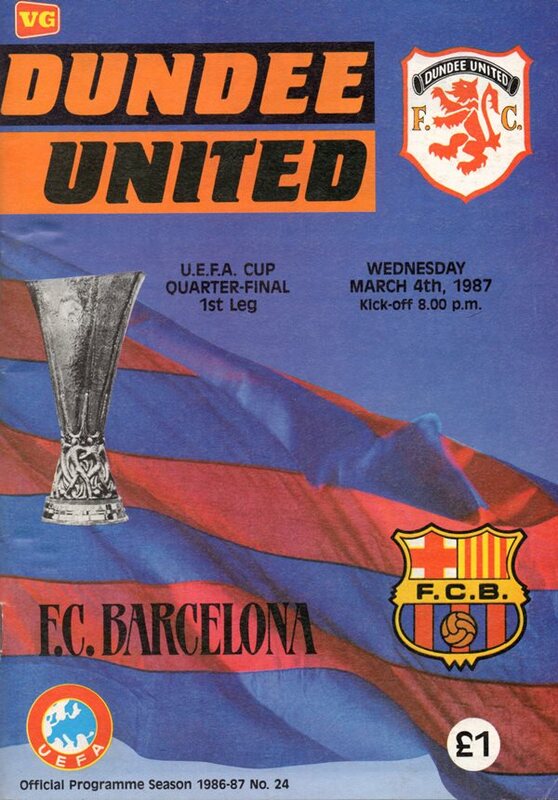 True, we only hold a single goal lead to take to Spain next week, but the fine first leg performance which almost totally eclipsed Barcelona's twin strike force of Lineker and Hughes, gave considerable hopes of further progress. We got off to the perfect start after only 1 minute 48 seconds. John Holt's throw-in on the right found Paul Sturrock and Kevin Gallacher's first time effort sailed over a bemused Zubizarreta's head and into the net. An incredible start but unfortunately no further goals materialised, though it wasn't for the lack of trying. Controlled play for long periods, with Jim McInally and Ian Redford commanding in midfield we produced perhaps our best performance of the season. 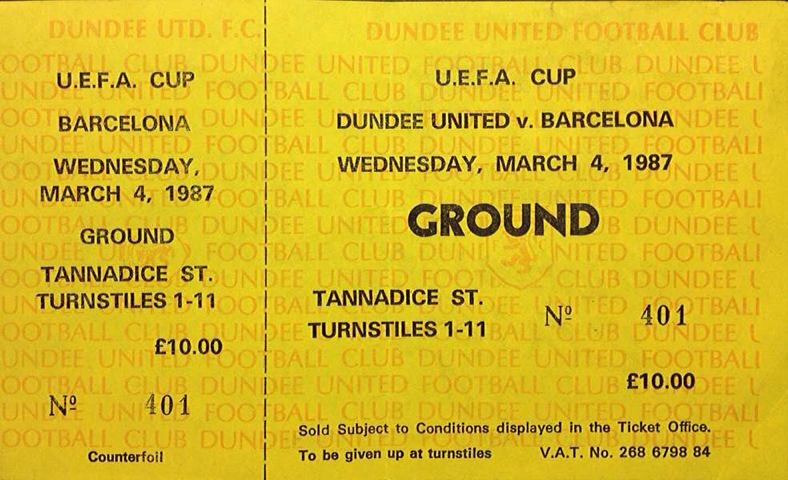 Paul Sturrock up front led the Barcelona defenders a merry dance. Paul was very unlucky not to put us two ahead early in the second half from a Kevin Gallacher cross. We hand a couple of penalty claims for hand-ball in the search for a second goal. About the only moment of anguish came late in the first half when Gary Lineker missed a simple, and his only chance of the game, when he shot weakly against Billy Thomson from 8 yards. Now we must wait until next Wednesday to see if that lead, fortunately established without losing a goal, will be enough to clinch a semi-final place.